The wearable tech market is huge and it has something to offer for each occasion. Halloween is no exception and we have found the best spooky costume for you! Get ready to combine tech, creativity, and spookiness with Glowy Zoey! It’s Halloween season again and it’s that time of the year when we need to think about how to be creative and scary at the same time. This is the challenge that young dad Royce Hutain faced one day trying to find the perfect Halloween costume for his daughter Zoey. During one of those sudden moments of inspiration, he remembered he had a lot of extra parts to make stickman LED suits for snowboarding and decided to make one for Zoey. It turned out she loved it! Royce couldn’t help himself and shared a short clip of the tiny little stick person on Youtube and, of course, it went viral. 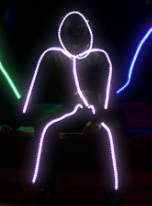 According to the website Glowy Zoey LED suit is brighter (by a lot) and more durable than anything else on the market. The LED lights are completely removable so you can wash the clothing or put the LED lights on a different outfit. It also comes in different sizes – you can choose from toddler, kids, or adult – and endless amounts of colors! It’s the perfect family costume for Halloween. 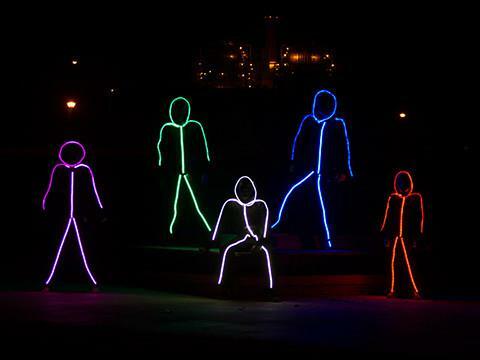 The RGB LED stickman light kit comes with everything you need to become a stick figure that changes to any color you’d like! No soldering or electronics skills needed. Hide your face with the mask to keep that stick figure effect without distracting the other people. You can see through it but, as explained in the website, keep in mind it’s like wearing sunglasses at night! 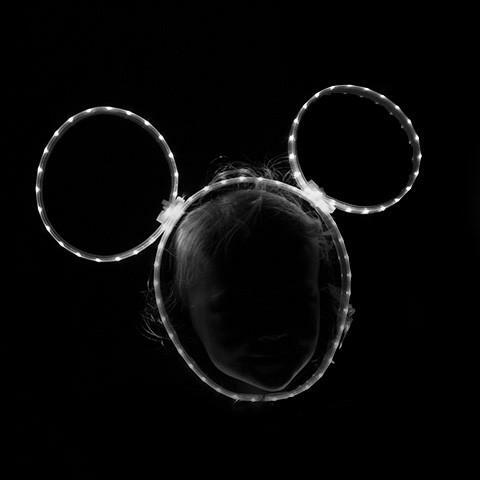 The Led Ears promises to change you or your child from a stick person to a stick mouse, bear, dog or whatever you come up with. Don’t go unnoticed this Halloween with this eye-catching wearable costume as little Glowy Zoey. Need more inspiration? Look at this wearable costumes for Halloween! And check out wireless charging solutions for wearables!